The Sword in the Stone; the Green Knight; the Round Table; Queen Guinever; the Holy Grail; the wizard Merlin; the war against the traitorous Mordred… these are just some of the images from the Arthurian tradition that the group of writers known as The Inklings were fascinated by, and returned to, throughout their fiction. 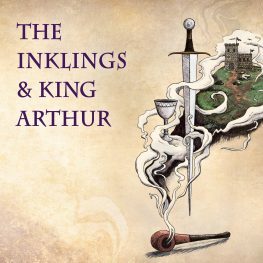 We will be reading the Arthurian legend through the works of Inklings authors, including J.R.R. Tolkien’s The Fall of Arthur, C.S. Lewis’s That Hideous Strength, and Charles Williams’ poetry, examining their different perspectives and the ways they have used Arthurian plots and images: as vehicles of spiritual meaning; as doorways to an enchanting world of chivalry; to explore ideas about Englishness, love, religion, politics, and history. We will also be studying the work of medieval, Victorian, and additional twentieth-century Arthurian writers, placing the Inklings’ approaches in a historical and literary context, in order to determine why the Inklings returned to Arthur so often, and what impact they had on the shape of Arthurian literature. Week 1 – Identities: who were the Inklings? Who is King Arthur? Notes: Students are not required to acquire the precise editions listed below, but are requested, when reading works in translation, to seek out the listed translators. Sir Thomas Malory’s Le Morte D’Arthur must be based on the Caxton edition. Further required and suggested readings will be provided by the course instructors in the final syllabus. Art by Emily Austin. Used by permission of The Apocryphile Press.